@Riserae Awesome! 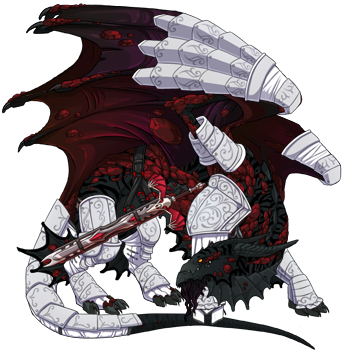 I would love to get one done of these two: Reivun: [url=http://flightrising.com/main.php?dragon=2748092] [img]http://flightrising.com/rendern/350/27481/2748092_350.png[/img] [/url] Ameena: [url=http://flightrising.com/main.php?dragon=2578775] [img]http://flightrising.com/rendern/350/25788/2578775_350.png[/img] [/url] As I don't know what kind of apparel you can do yet I'll wait on that until I hear a response back. But, from my understanding, the base price for them is 30K with the couples price that would be +10 K plus their iri/shim/gem with is another +15K which, for now, brings my total to 55K? Editing for Apparel Post: For Reivun, I'd like the Veteran's Leg scars on him for sure, and I'd like to sponsor the Ornate armor pieces that he has on, so please let me know which size those would be! 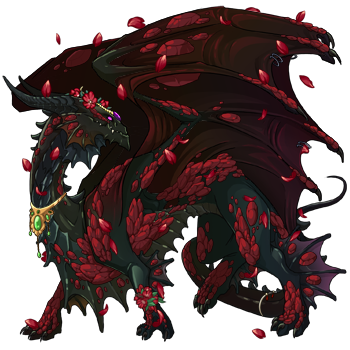 For Ameena, I'd like to sponsor the red flower fall, ornate copper necklace and the copper bangles. Again, please let me know how much that would cost! As I don't know what kind of apparel you can do yet I'll wait on that until I hear a response back. But, from my understanding, the base price for them is 30K with the couples price that would be +10 K plus their iri/shim/gem with is another +15K which, for now, brings my total to 55K? Editing for Apparel Post: For Reivun, I'd like the Veteran's Leg scars on him for sure, and I'd like to sponsor the Ornate armor pieces that he has on, so please let me know which size those would be! For Ameena, I'd like to sponsor the red flower fall, ornate copper necklace and the copper bangles. Again, please let me know how much that would cost! I would love one of my Imperial Izmandias! Wow so fast, haha thanks! I just put up what I have for apparel. For the female, her little things like the bangles, necklace, and bracelet I could just do for free. The male's pieces would be medium sized items. The way I imagined couples working, is you buy both dragons and then then add the couples price. (So you'd get 3 images). If 10k seems too high I can lower that. 5k? Free? With a couple I can have them placed how you'd like, or add a little something special.